Do you have freight that needs to be shipped from the U.K. to the U.S? Service Shipping Inc. offers the lowest shipping rates for LCL and full containers being imported from England into the United States. These low shipping rates can be offered because of the high volume of containers Service Shipping Inc. handles each year for imports coming from the U.K. going to the U.S. Shipping rates for freight are below market shipping rates allowing importers a chance to make a higher profit margin on goods to be resold for a profit. 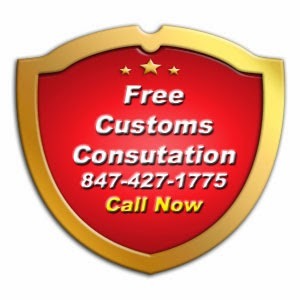 Customs Clearance – All Ports Within the U.S.
We have partnered with various logistics agencies to offer the lowest rates on LCL (less than container load) freight imported into the United States from England. This includes any port within both countries. Freight is loaded into our weekly consolidations to several major USA import gateways. This allows your cargo to go to the closest depot, not only a single consolidation to New York. This speeds the transportation of your cargo to the final USA destination. Importers that do not have enough cargo to fill an entire container have the option to share a container with other importers for a discounted rate. Our only caution for less than container load shipments is to be aware that consolidated cargo is more likely to be examined by US Customs, and additional costs and transit time will be incurred, if your cargo is flagged for examination. To receive shipping discounts when exporting cargo from England to the U.S., it is advisable to use a freight forwarder that specializes in volume imports and is able to provide customs clearances when cargo arrives to the U.S. such as Service Shipping, Inc.
With shipping rates from England to the U.S., our import department understands the importance of customer service due to the short transit time, and the need for communication and documents to be filed in advance of the arrival of your merchandise. This dedication to rates and service gives us the opportunity to reduce your landed costs. In addition to the experience and expertise with commercial cargo, we are one of the few brokers that will take the time to assist personal effect importers, where others will not. The completion of Customs From 3299 (CBP3299), allows used personal effects to avoid duty and user fees. The form can be reviewed with our staff in advance to ensure compliance and no future Customs actions after review of your entry. Our turn key operation allows you to have a single source for the foreign Ex-Works coordination of your cargo, timely filing of the required Importer Security Filing (ISF), insurance, customs clearance, and door delivery of your cargo. Whatever your needs are as dictated by your specific Incoterm, we can fulfill those requirements.